A wonderfully, thoughtful wedding favour for your Bridal Party. 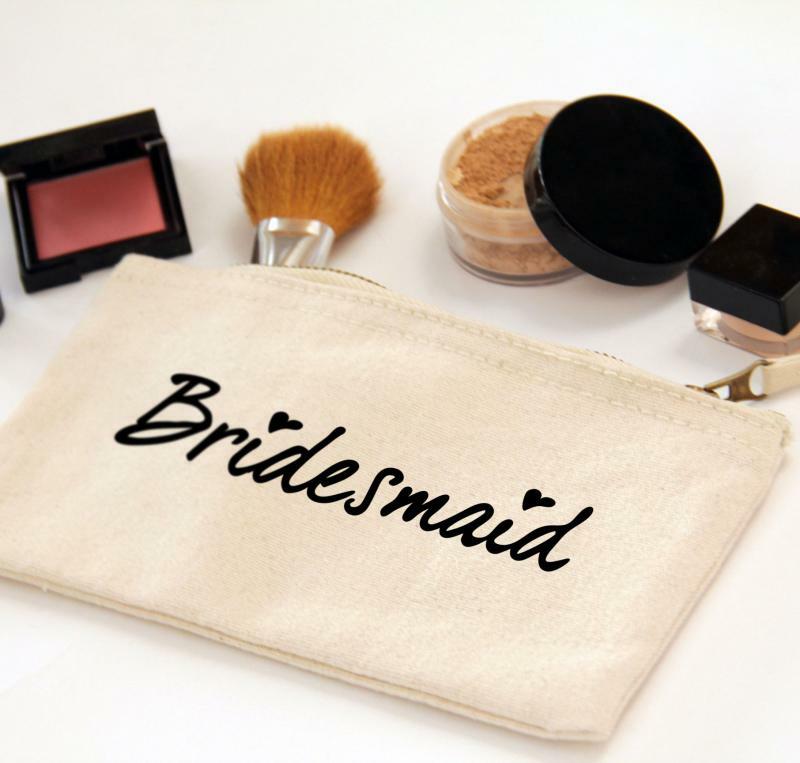 Fill these make up bags with little gifts to say thank you to your bridesmaids for being there on your special day. Our little zipper canvas pouches are made from heavy natural canvas and are perfect for storing all sorts of bits and bobs, from make up to hair accessories, money and all other handbag essentials. For personalised and printed items, please allow up to 3-5 working days for processing before dispatch.